Industries Minister Nurul Majid Mahmud Humayun said Bangladesh will easily become a middle income country by 2021 and then a high income country by 2041 if industrial entrepreneurs like Walton come forward. The emergence of local companies like Walton will lead Bangladesh to dominate the global market, the industries minister came up with the remarks while visiting Walton Hi-Tech Industries (WHIL) at Chandra in Gazipur on Thursday (April 11). During that time, State Minister for Industries Kamal Ahmed Majumdar was also present. 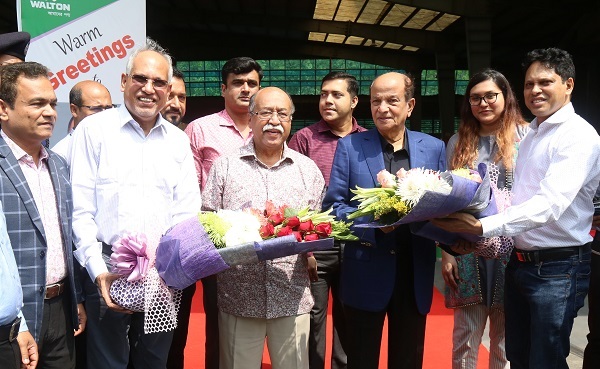 While Industries Minister Nurul Majid Mahmud Humayun and State Minister Kamal Ahmed Majumdar reached Walton factory on Thursday morning, WHIL’s Vice-Chairman SM Shamsul Alam, Directors SM Mahbubul Alam and Tahmina Afrose Tanna welcomed them with a flower bouquet. Among others, Walton’s Executive Director SM Zahid Hasan, Humayun Kabir, Uday Hakim, Alamgir Hossain Sarker and Yusuf Ali, Deputy Executive Director Sharif Harunur Rashid, Shahjada Selim, Senior Additional Director Mohsin Ali Mollah, Additional Director Milton Ahmed and Media Adviser Enayet Ferdous were also present. After visiting the WHIL, Industries Minister Nurul Majid Mahmud Humayun said, the overall activities of Walton touched my heart. Walton created huge employments and also they ensured all kinds of benefits and advantages for their workforces. 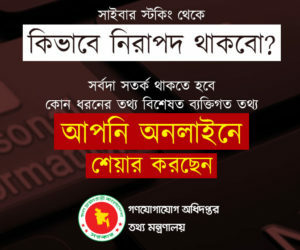 Earlier, Bangladesh imported huge number of electronics appliances from Japan, Europe and so many country, mentioning it the industries minister said, but now, Walton is now manufacturing these appliances. While visiting WHIL, State Minister for Industries Kamal Ahmed Majumdar assured of providing all sorts of assistances in protecting Walton like domestic as well as raising exports. “If needed, import duties will be increased for the greater interest of local manufacturing industries,” he opined. Terming Walton factory as environment-friendly, the state minister said, all sorts of necessary parts, along with the finished goods, are being manufactured here and thus huge amounts of import bills are saved. At present, ‘Made in Bangladesh’ labelled electronics and electrical appliances are exported to different countries of the world, saying it he noted that Walton is increasing the goodwill of Bangladesh in the global arena through exporting world-class appliances. He hoped that the local company will lead the global market in future. He assured that the Industries Ministry will provide all sorts of assistances in protecting and boosting the local industries. The ministers enjoyed a corporate document on Walton and then visited the product display center and the production units of refrigerators, compressors, air conditioners, foundry and other appliances.